*Look Who's Happy! sent us bags of treats for the review. I was so happy when I found out about Look Who's Happy! Dog Treats. Looks Who's Happy is a family owned company. with only the tastiest, most nourishing treats. This one is called Fetch'n Fillets Beef Jerky. 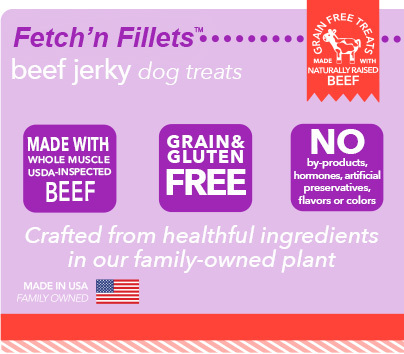 They are made with USA with whole muscle USDA-Inspected Naturally Raised Beef. It's Grain & Gluten Free with No by-products, hormones, artificial preservatives, flavors or colors! they operate their entire plant according to FDA food safety production guidelines. (never China) and is USDA-inspected! Dogs go crazy for jerky treats made for human just by smelling them. They are really bad for dogs because it's too salty and has bad stuff for dogs. You can also tear in small pieces for small dogs. Happy Wraps is made with whole muscle USDA-Inspected Cage Free Chicken. Carefully selected fruits rich in powerful antioxidants! Sweet potatoes are so good for dogs and dogs really love the taste too. And it's wrapped with yummy chicken?! It's crunchy and so fun to eat! 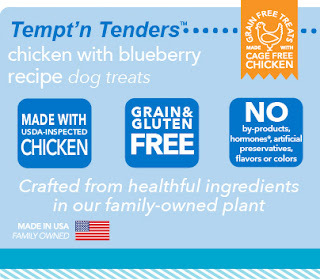 They are also made with USDA-Inspected Cage Free Chicken. 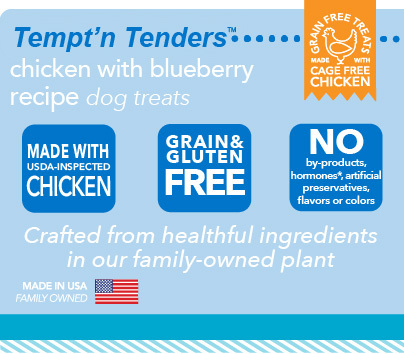 Every treat is made in their family-owned plant, right here in the USA. Every procedure is in place to ensure product quality, from HACCP to GMP. I gave away a bag to a new doggy friend I met at the hiking trail.